Did you know that inactivity has been identified as the number one global health issue in developed nations, far exceeding the risks of obesity, smoking and alcohol for early morbidity. Both aerobic exercise and strength work are known to improve general health and reduce longer term issues. Star Physio have long been pushing the strength barrow with our clients for injury rehab, prevention and performance, but we now know that there are far reaching health benefits to go with it! Strong is fast. Strong is resilient. Strong is Alive!!! Physiotherapists are in an excellent position to ask the questions and give recommendations on specific and general exercise. Does your physiotherapist check up on your exercise level? Is it time for you to get moving too?!!! IF you are worried about getting started due to previous injury, ongoing pain, why don’t you let one of our experts help you get this sorted and then on your way to better health and a longer life too! Share this or if you know someone who could do with a nudge, tag them and have a listen to this great interview. Exercise IS medicine!!! Are you getting 150 minutes of exercise per week and are you adding strength work to your program! 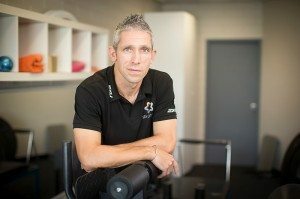 If you want to see James or one of our other experts get in touch or give the clinics a call to visit us at either West Perth, The CBD or our Mosman Park offices.